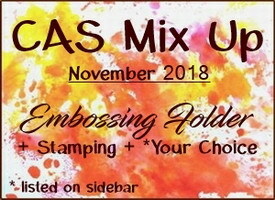 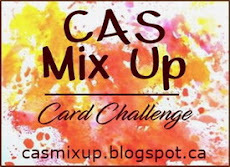 Another fun year of challenges at CAS Mix Up! or just being reminded of some older ones. 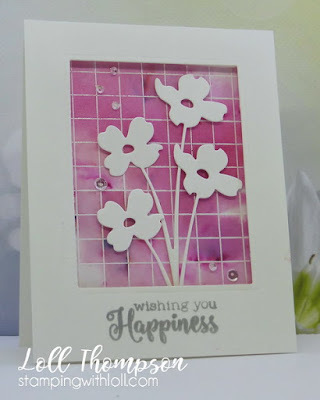 of fun challenges for 2019! 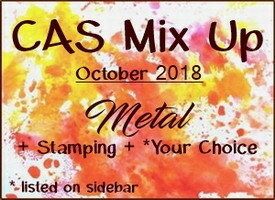 played along this month. 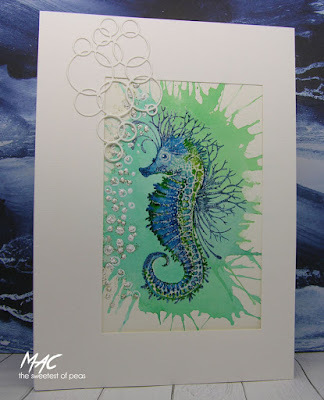 We had AMAZING entries! 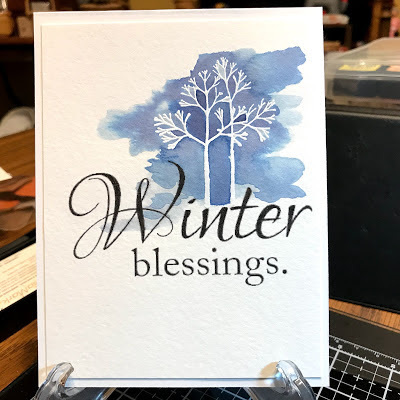 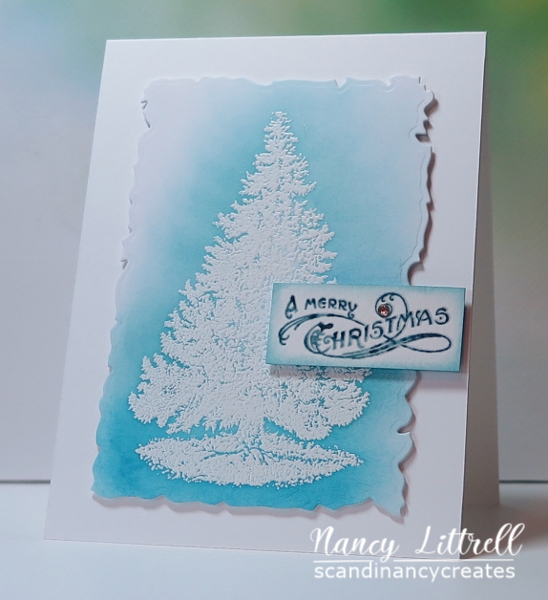 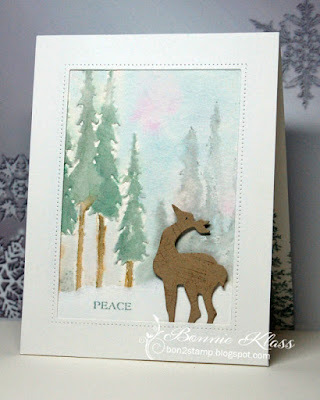 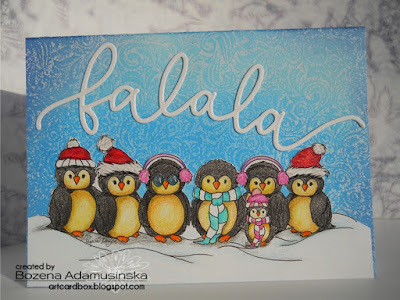 beautiful and artsy winter card. 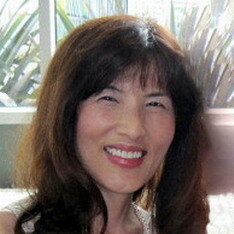 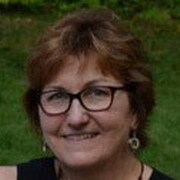 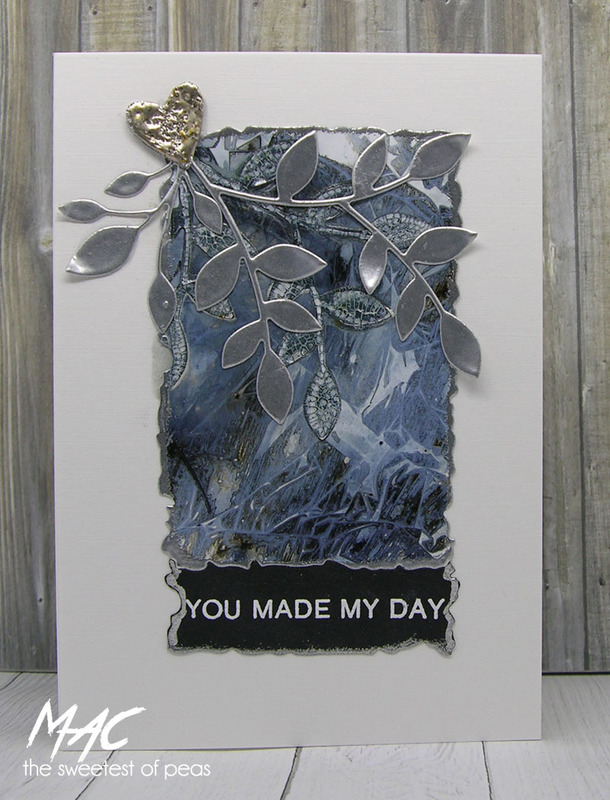 Great work Arlene! 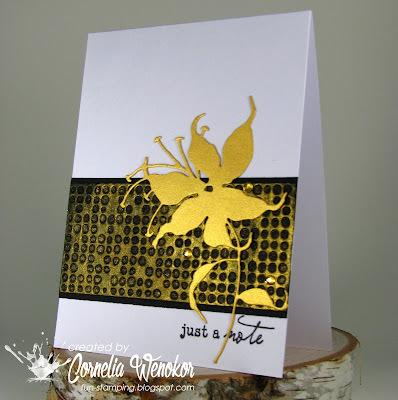 Congratulations to Gwendolyn, Birgit, and Darnell! 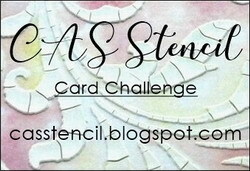 January's challenge starts in a few weeks. 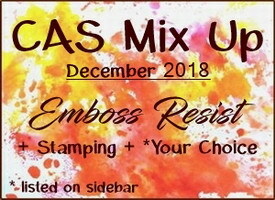 See you on January 1st! 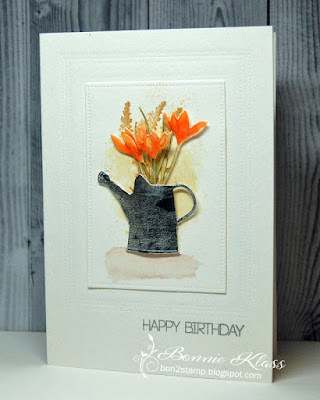 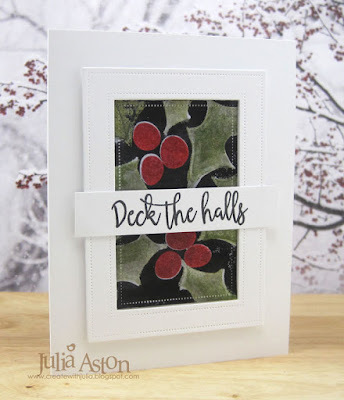 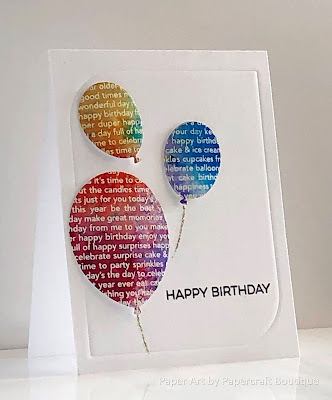 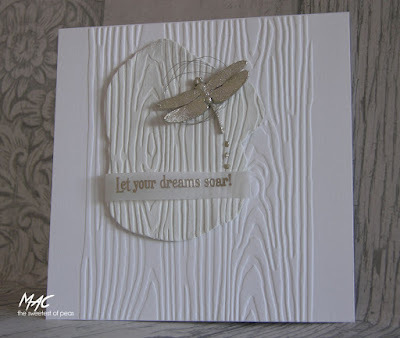 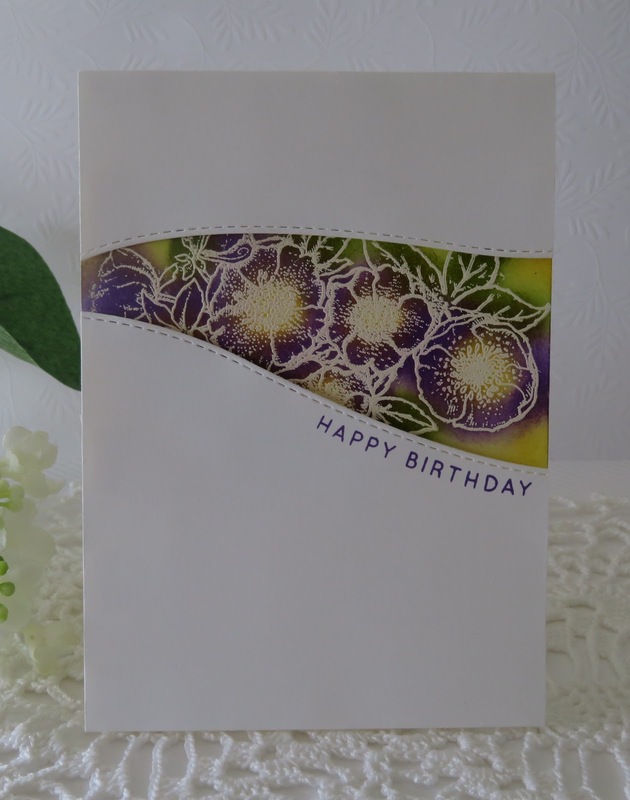 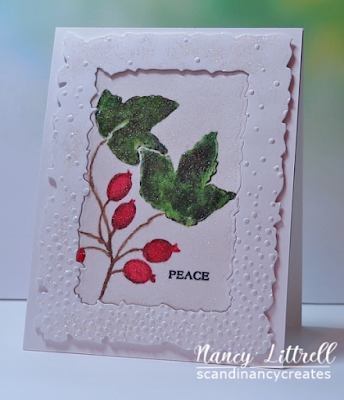 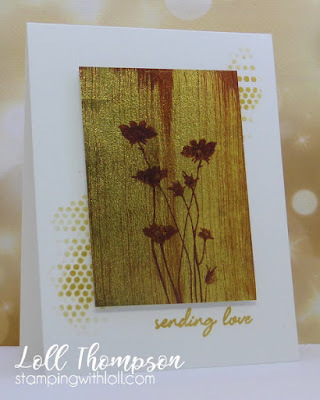 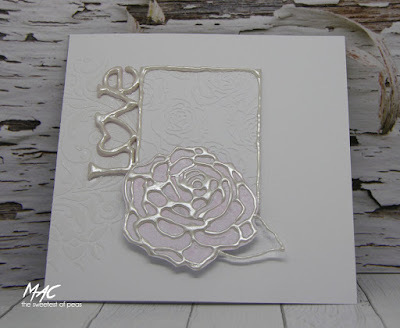 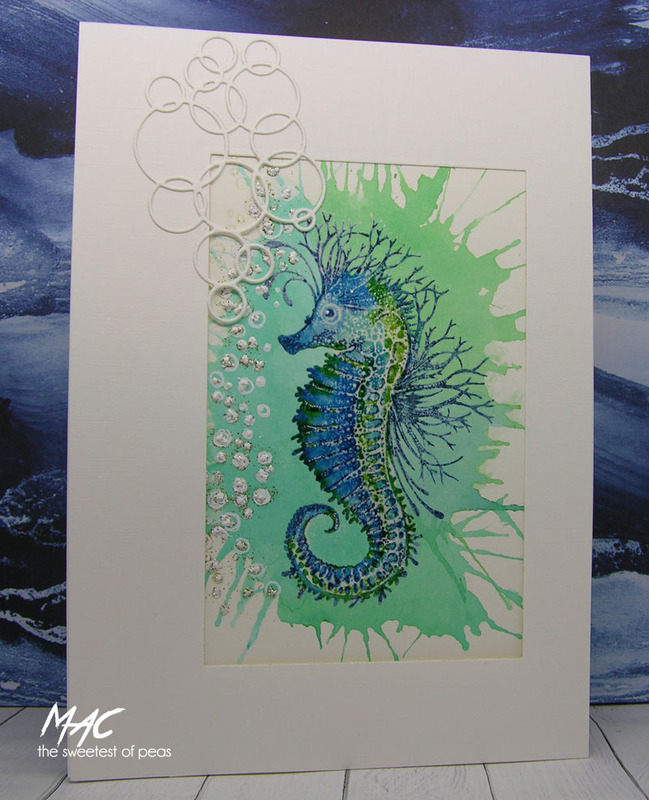 We really enjoyed seeing all the ways you chose to use embossing folders. 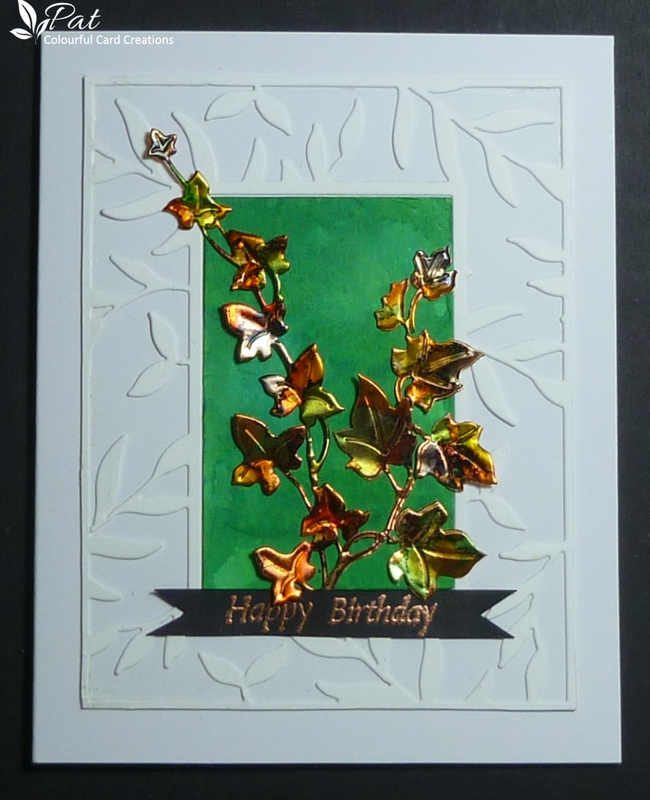 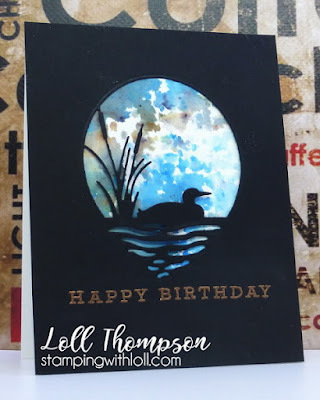 The gallery was full of beautifully embossed cards! 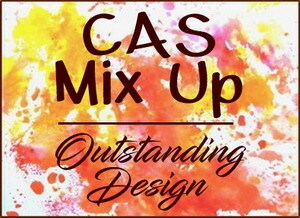 It was really hard to pick our winner and Outstanding Designs. 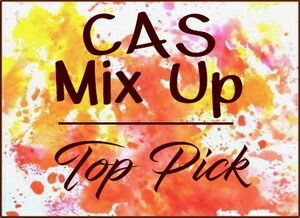 I wish we could pick them all. Thanks so much for your beautiful entries. 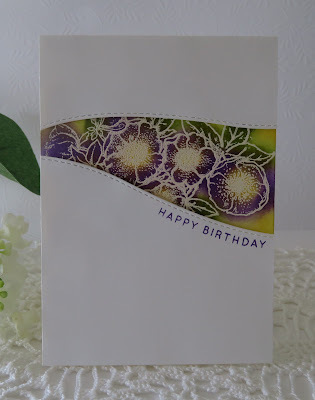 raised design of the embossing stand out perfectly. 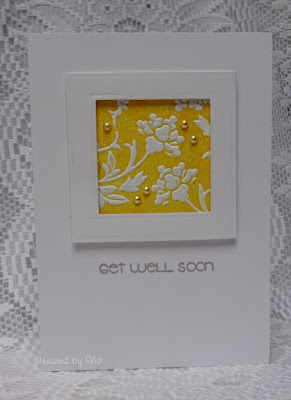 What a beautiful way to say Get Well Soon! Check out the Top Picks from October's Metal Challenge HERE. 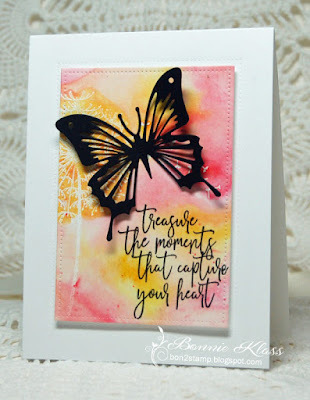 This month's challenge is hosted by Bonnie. 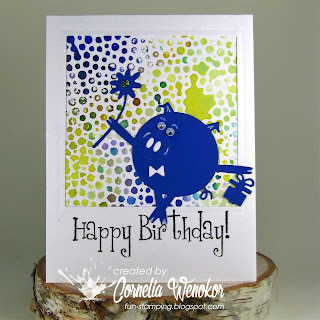 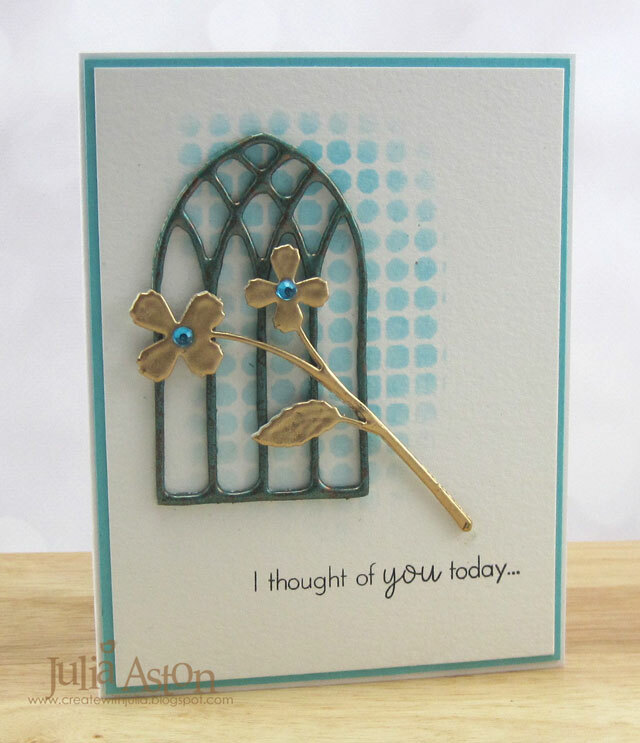 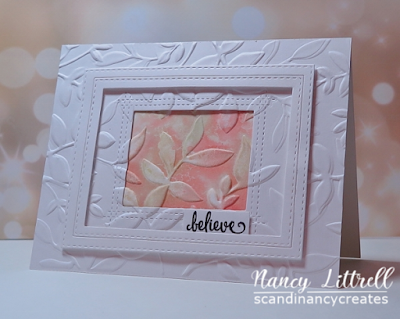 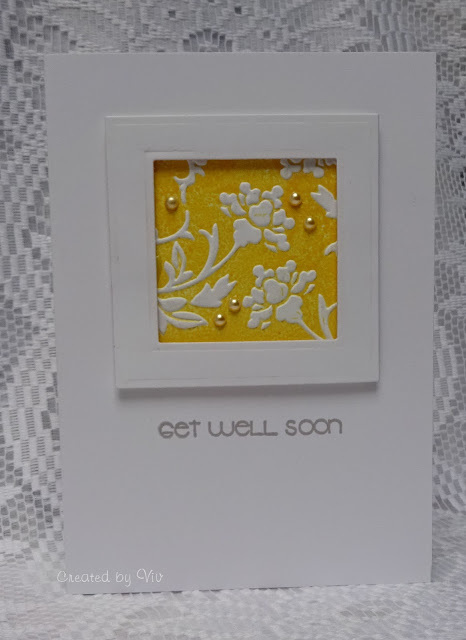 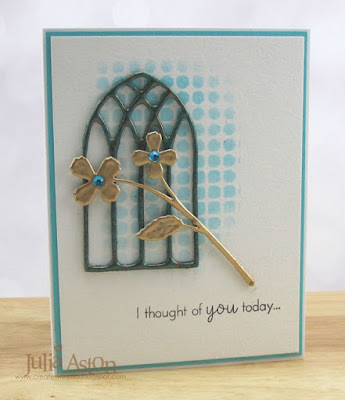 She was chosen as our Guest Designer with this gorgeous card. 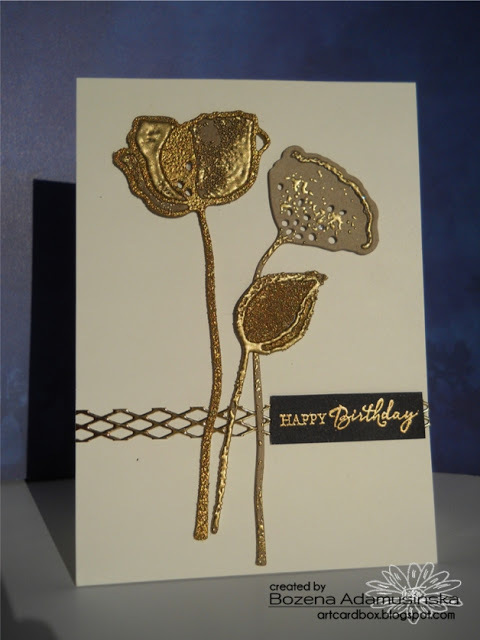 Using Dry Embossing Folder, Modelling Clay with Embossing Folder, Clay Embellishment and Stamping.